‘The times they are a-changing’ was sung by Morley in the spirit of Bob Dylan in 1964, when in one short year, everything was different. This lead to a discussion about moments of rupture in history, where time seems to be speeding up and suddenly events bubble with tremendous possibility. The hope of Obama came and went, there were ‘cursory moments rather than fundamental change’, but in 2014 the new Mayor ( and the new Pope ) give new promise. 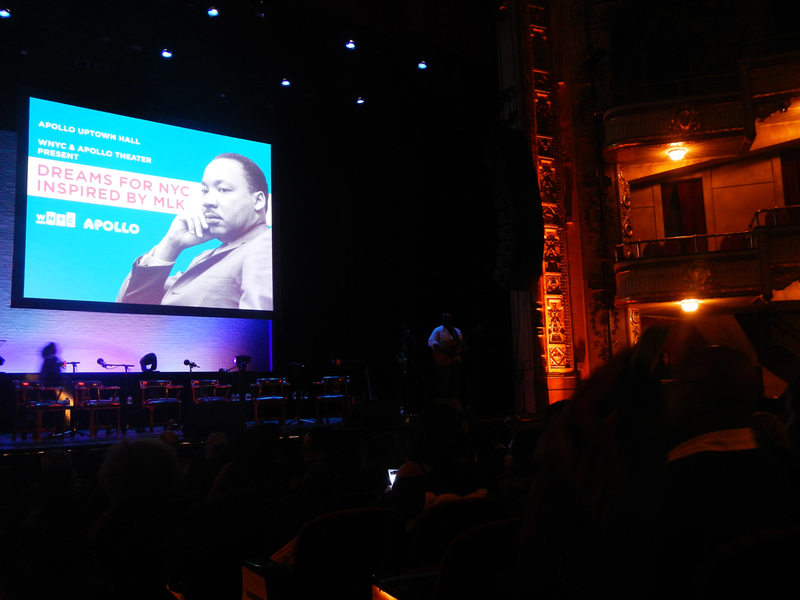 De Blasio won the election on a ticket of inequality and he and his policies were mentioned several times during the event with the question, what is the Big Apple going to do with this opportunity…? 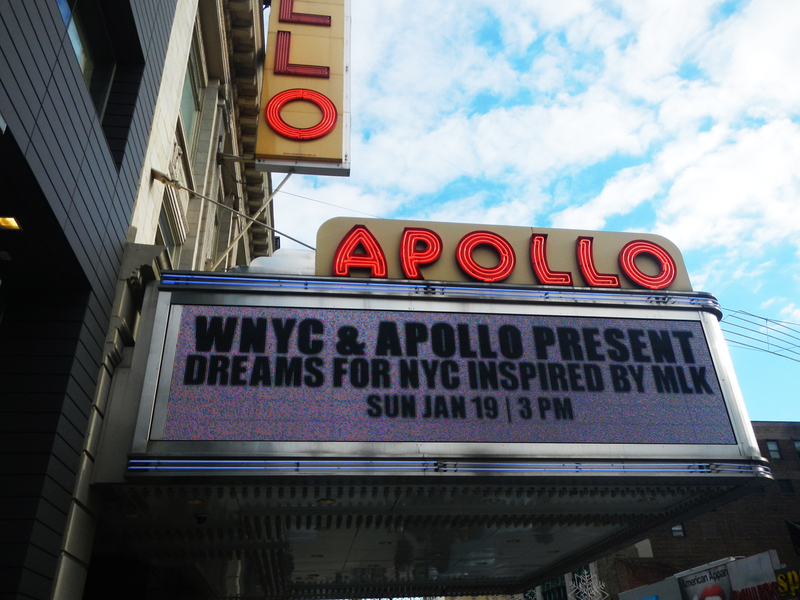 This entry was posted in events, Uncategorized and tagged Apollo, Dreams for NYC inspired by MLK, Gospel for Teens Choir, MLK NYC. Bookmark the permalink. Very interesting indeed! Thanks for sharing this Gabrielle. I wonder how things will look in another 50 years time? Things have definitely progressed since MLK made his speech but not as much as we would have hoped.